How to Fix a Broken Nail? 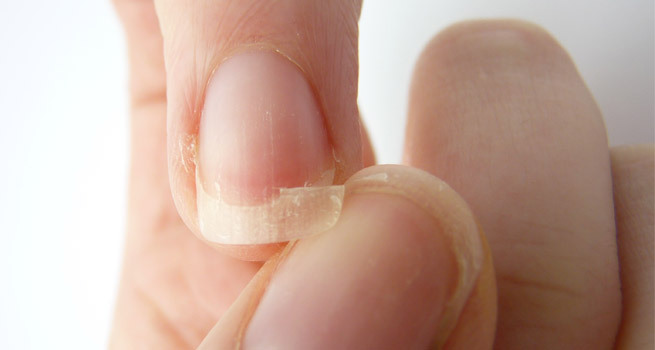 We have all had moments in our life when we are trying to grow our nails and there, they are growing nicely, in shape, ready to get all manicured when suddenly one fine day one nail decides it has had enough and breaks away. This is when you realize all your previous hard work and patience has come down to nothing, but you don’t have to worry any more, the following methods will help you fix your broken nail. 1.Remove nail paint, if any, that has been applied to your fingers. It will make the process of repairing much more easier. Hence, any excess paint or lotion, cream applied by you should be removed beforehand. 2. Now, take a tea bag and cut this tea bag into a long strip then you can pour out the tea. 3. You have to cut the tea bag in such a way that the it fits onto the bottom of your split and chipped off nail. The ends can be left off by you for the moment if you please. 4. Then, apply some nail glue that will be available in the market all over that particular nail. Here, be sure not to miss out to apply it on the part where the nail is broken. Also Read: Can Nail Salon UV Lamps cause Cancer ? 5. Hereafter, the tea bag should be placed on your nail. Try to even and smoothen it out a little gently. Here, you can use a cuticle stick to help you out. 6. Leave it to dry for some time. After it is completely dried, cut the tea bag away. Only leave the part that is covering the broken nail. 7. After doing this, you need to apply another layer of the glue that was previously used. 8. Wait until it is dried. Now, buff and file the edges of your nail. 9. To this nail, apply a base coat. 1. Wash your hands and make sure they are free of any oils. Use warm water and soap, dry well. Avoid coming in contact with the broken part. 2. Cut a strip of the nail mending material. 3. Use the fibrous paper and cut a section large that will be enough to cover the nail and wrap it under the tip. 4. Alternatively, you could also try using a handkerchief or coffee filters. 5. What’s important is that the material should be large to cover the entire nail. 6. Now, attach the mending material using some glue and use tweezers to place the cut material onto the nail. 7. Next, use the nail mender liquid and apply it using the brush applicator.You can use Use tweezers to smooth out any bumps or wrinkles in the material. The material should be very smooth. 8. 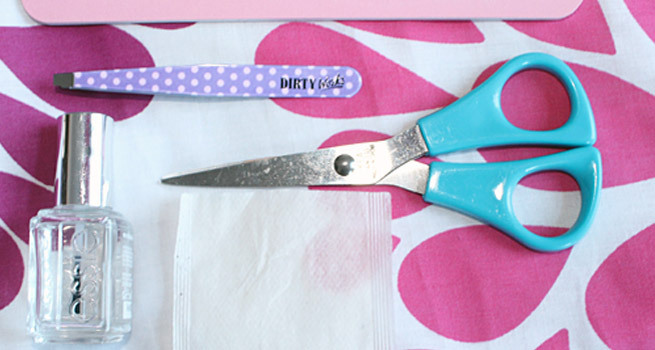 If necessary, use small nail scissors that will trim away excess material after you apply it to your nail. 9. Wrap the material on the top of the nail. Pinch the tweezers, folding it so it sticks to the underside of your nail. If the material has not gotten any adhesive on it yet, apply glue or mending liquid to make it stick. This provides extra balance and protection to the broken nail. 10. Apply another layer of glue. Put another drop of glue onto the material covering the nail and spread it around using the applicator tip. Create a smooth layer, then trim and later buff. Now, apply the top coat, nail strengthener if required and let it dry overnight. Apply nail paint later if desired. Try wearing rubber gloves while washing dishes. This is because water and chemicals could weaken nails and therefore they might be more likely to break. These are a few methods that will help you fix that damaged nail.